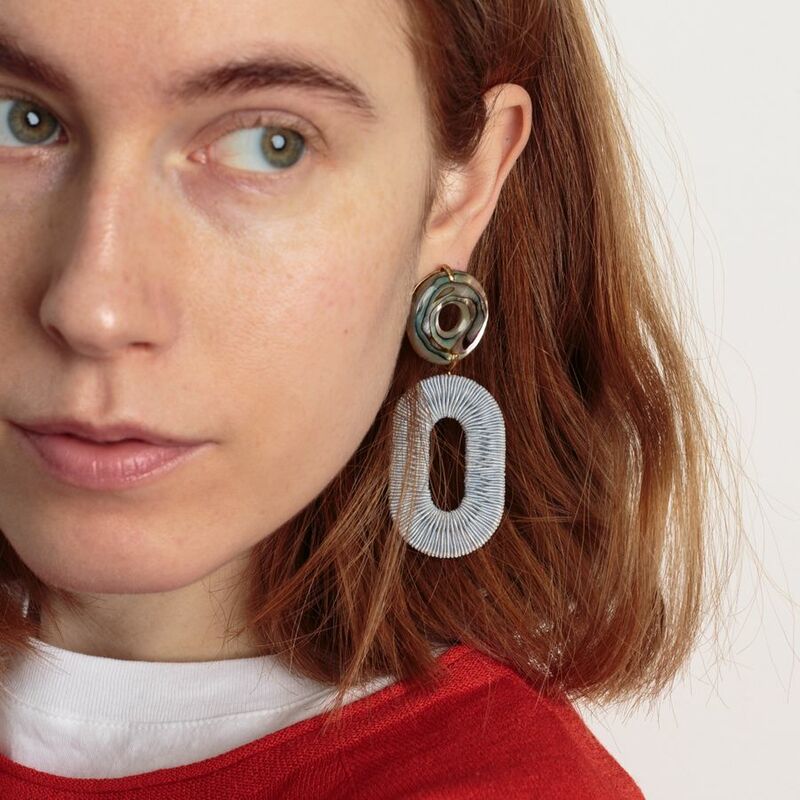 Adriatic Earrings Woven Hoops from Lizzie Fortunato. These earrings features abalone shell discs on top and light blue woven hoops. Drops about 7,5 cm. Measures about 3 cm on widest point.